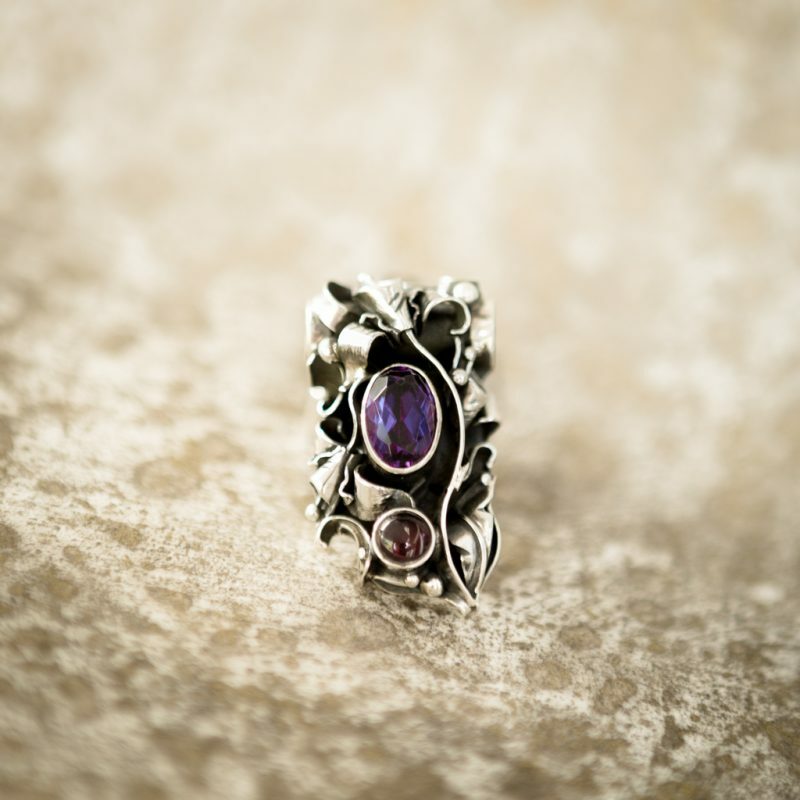 A powerful magic stone, alexandrite connects Divine Love (the Spirit) and the centered Self (one’s individuality). One of the rarest gemstones in the world, it has the unique ability to change its color under different types of light (both the “inner light” of your energy field and the external light from the physical world). It appears purple under incandescent light, green in sunlight, and glows red under artificial light. Alexandrite enhances psychic communication, mental clarity, memory, and Higher Self perception. As a premier “karma catalyst” stone, it activates karmic unseen issues in order to bring them to your awareness. While Alexandrite hastens the resolution of difficult situations, it is up to you to make that resolution feel peaceful or dramatic. Alexandrite activates and helps transmute any karma in the 3rd, 4th, and 7th chakras. The best way to work with Alexandrite is to wear it for a few days, then take it off and see what comes up before wearing it again. Never sleep with this stone on or nearby your body. Alexandrite can be used in both meditation and astral travel. It promotes emotional balance and amplifies your intent for clearing obstacles in your life. It centers the wearer, bringing calmness and mental clarity. Alexandrite is highly useful for overcoming a lack of confidence, low self-esteem, or a lack of direction in one’s life. Meditating with this stone helps you identify your goals and plan how to begin working toward them. In terms of the physical body, Alexandrite relieves spleen and pancreas problems, helps to treat swollen lymph nodes, and supports those fighting leukemia.